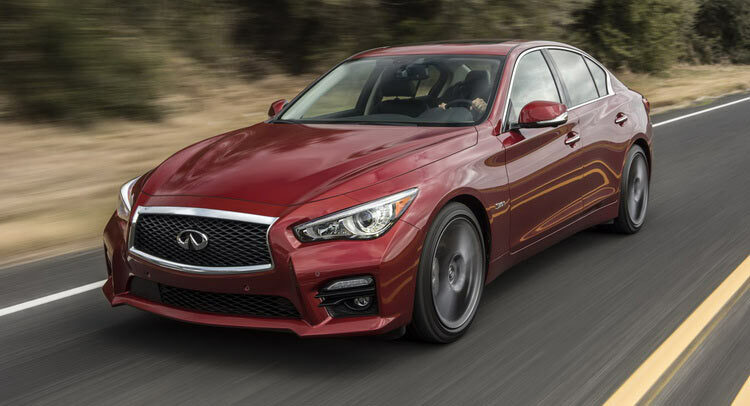 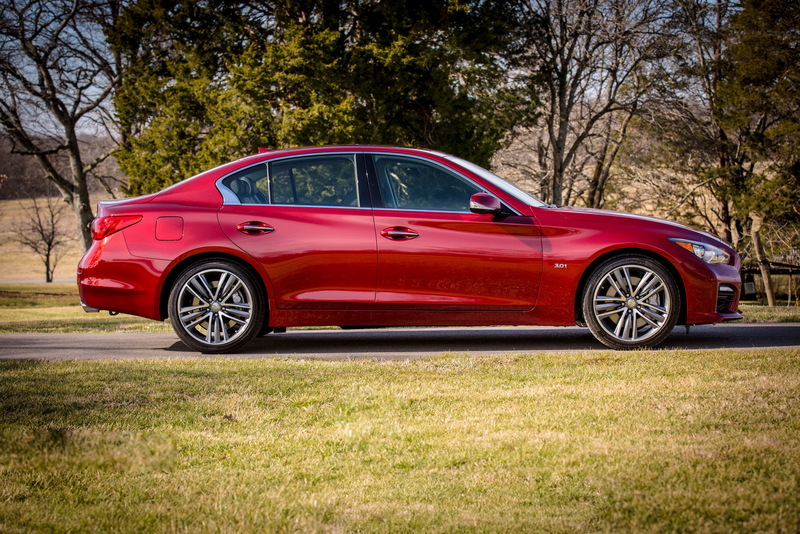 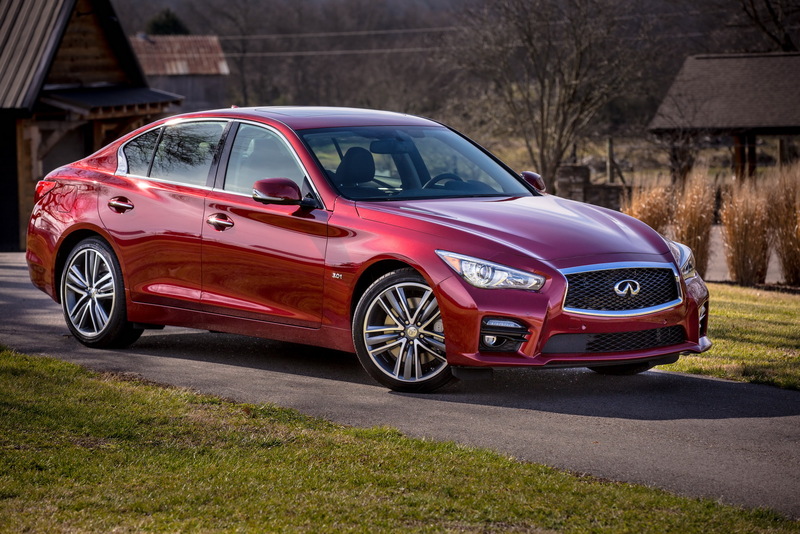 The 2016 Q50 Red Sport 400 will be the first Infiniti to use the company’s new twin-turbo V6 VR30 engine. 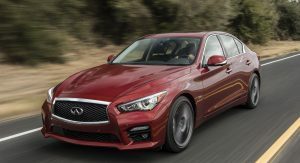 The range-topping Red Sport is offering 400hp and 350lb-ft of torque and will come in both rear- and all-wheel drive versions. 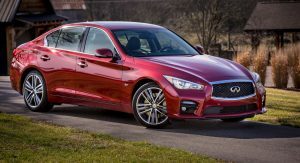 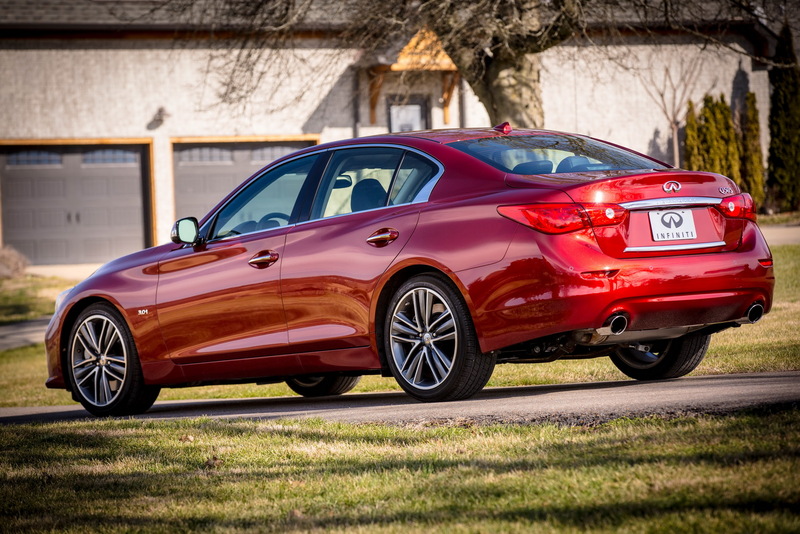 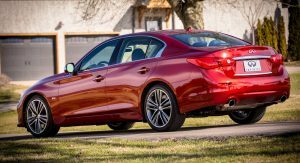 And because it’s the flagship of the range, Infiniti has added a few distinguishing features on it, including a sportier fascia, exclusive brushed-finish exhaust tips, unique 19-inch alloy wheels and special red ‘S’ badging on the trunk and front fenders. 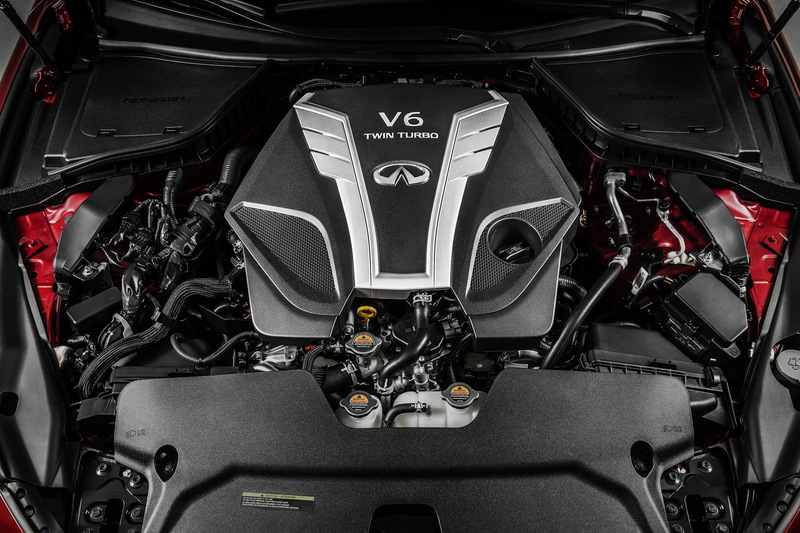 The new 3.0-litre V6 is the most advanced V6 unit offered by Infiniti and offers advanced features like optimized turbine blade design, an optical turbo speed sensor, high capacity air-to-water intercooler system with dual water pumps, electronic wastegate actuator, e-motor valve timing control and an integrated exhaust manifold. 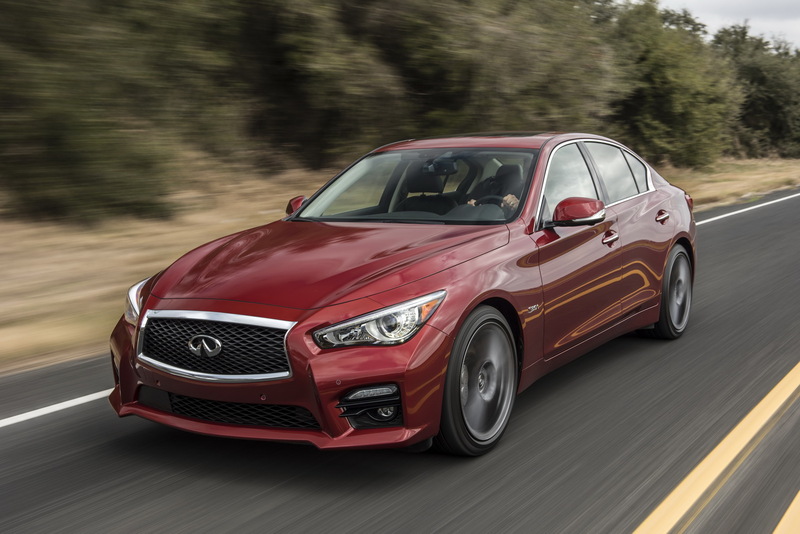 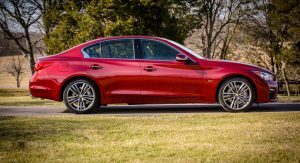 Prices start at $47,950 for the RWD version and $49,950 for the AWD one, making the 2016 Q50 Red Sport 400 the only model in its segment to offer 400hp for less than $50k. 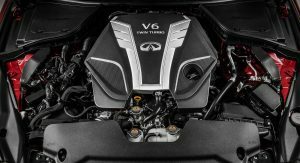 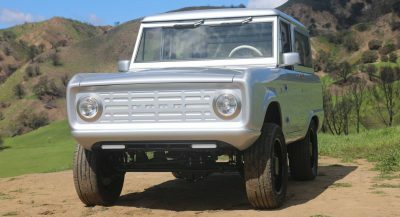 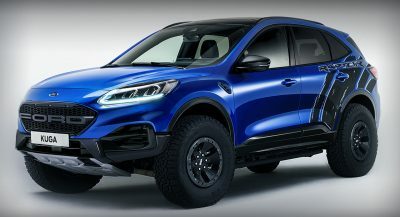 Prices for the 300hp version of the same engine will be announced on a later date.